Bring your child's favorite Disney character to a wall in their room with RoomMates' Mickey Mouse Comic Wall Graphic! 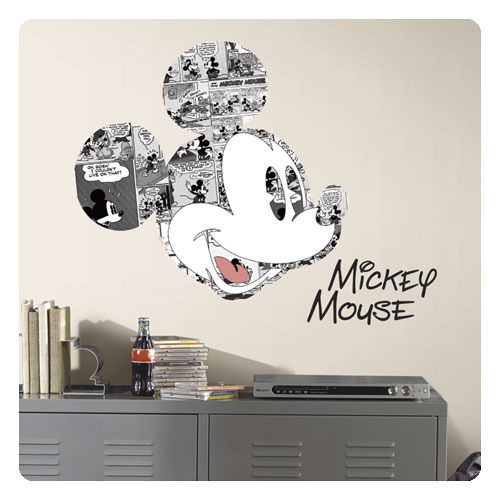 The perfect way to bring Disney to a room for an affordable price, these wall decals can be removed and repositioned as much as needed without damaging the surface. Simply peel and stick to apply. Decals range in size from 20-inches wide x 2 1/2-inches tall to 25 1/2-inches wide x 25-inches tall. Please note: item does not include retail packaging. Ages 13 and up.